Copyright 2009 Watchmen Radio Ministries International All Rights Reserved. In the fall of 2007, my family and I spent a week in western Massachusetts. While there, we visited Williams College in Williamstown. We had read that this college was the place where the famous Haystack Prayer Meeting took place and that there was a monument there commemorating that event. So, we set out to find the monument. It didn't take long. The first student that came along while we walked up to the campus from the parking lot told us the monument was out back among some trees. A short walk brought us to the place where the birthplace of foreign missions in America took place. This very special event took place about 200 years ago. Today, it is mostly forgotten except for those who study missions. Williams College is now a well known secular college with little there to indicate that once upon a time a great revival took place and five dedicated students meeting under a haystack to pray committed themselves to foreign missions. Though its students today may have noticed the monument, few realize its significance or know very little about what it stands for. It was Samuel Mills who led the above named students in the famous prayer meeting that took place on a hot Saturday afternoon in August in a meadow north of the college. (the place where the monument is located today) There were other prayer meetings being led by students on the campus as a result of the revivals. This particular prayer meeting concentrated on missions. They had met that afternoon to discuss William Carey's booklet entitled An Inquiry into the Obligation of Christians to Use Means for the Conversion of the Heathen. This booklet taught that it was the responsibility of all believers to be concerned about world missions. While they met, a thunderstorm suddenly came upon them and they had to scramble to find cover which they did under a haystack. As Mills continued to lead the discussion under their shelter of hay, he insisted that the gospel must be taken to the lost of Asia. After their time of prayer and singing a hymn together, Mills in the midst of the pouring rain cried out, "We can do this, if we will!" The hearts of the five were set on fire for missions as a result of this prayer meeting. They consecrated themselves to obey the Great Commission and take the gospel to all the nations. These students felt it was the job of America to send out its own missionaries. 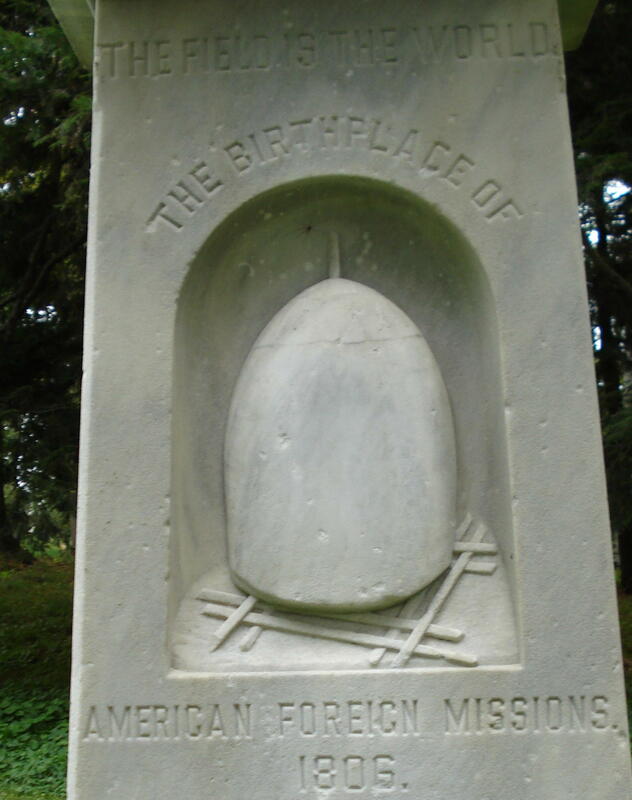 So, they proposed to the General Association of Massachusetts that the first American missions agency be created. In 1810, the American Board of Commissioners for Foreign Missions was formed and Adoniram Judson was among the first group to sent out to India. Mills inspired the formation of other agencies such as the United Foreign Missionary Society, the American Baptist Missionary Union, and the American Bible Society. Immediately, the Haystack Prayer Movement became know all over the area especially among college students. Mills, in 1808, began a group called the Society of Brethren, which bound themselves together for the purpose of giving themselves to extend the gospel around the world. Through these initial of efforst of Mills and the others, several mission agencies began to be formed on campuses all across the country. Missions were rooted in and came out of the burning fires of revival in America. This country became a great missionary sending nation because God poured out His Spirit in a mighty way in the early part of the 19th century. When the Holy Spirit is poured out in power, the gospel advances. Just as at Pentecost, the Holy Spirit came and the gospel spread all over the world. Missions were born in Revival. May God pour out His Spirit once again in our day that the Gospel may go forth with renewed vigour and that nations and peoples may be won to Christ and His Kingdom expanded. May great nations be reclaimed for the gospel that were once in the fold of Christ. May the words of Isaac Watt's famous hymn come to life once again, "Jesus shall reign where'er the sun does his successive journey run; His kingdom stretch from shore to shore, till moons shall wax and wane no more..." (1719). Copyright 2016 Watchmen Radio Ministries International All Rights Reserved.